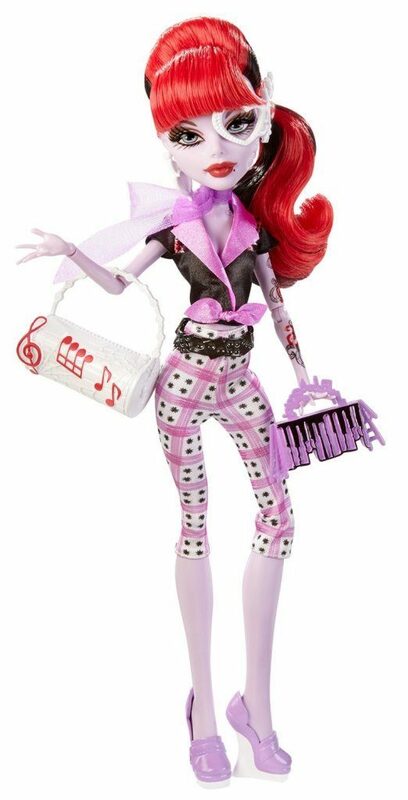 Monster High Monster Scaritage Operetta Doll and Fashion Set Only $8.09 + FREE Prime Shipping! You are here: Home / Great Deals / Amazon Deals / Monster High Monster Scaritage Operetta Doll and Fashion Set Only $8.09 + FREE Prime Shipping! How many of your kids like Monster High Dolls? Right now, you can get the Monster High Monster Scaritage Operetta Doll and Fashion Set for just $8.09 (reg. $15)! And, you’ll get FREE shipping with Amazon Prime or Super Saver Shipping! Monster pride means embracing your monster scaritage and screaming it loud! The Monster High ghouls love to advocate their ancestry with fangtastic fashions that are un-dead on!